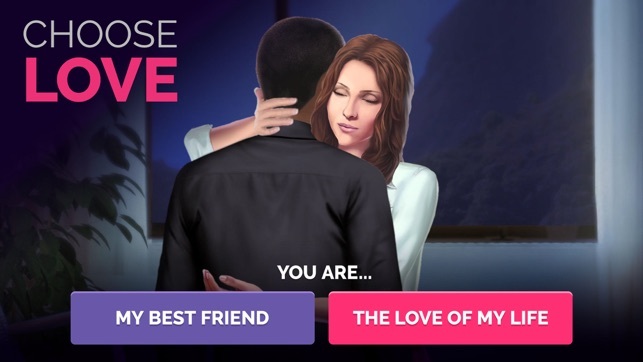 WHICH LOVER WOULD YOU CHOOSE? 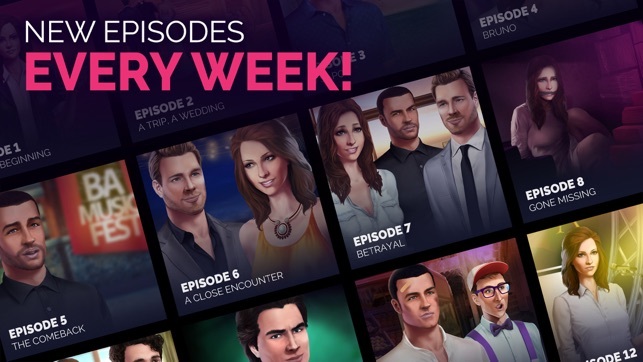 Immerse yourself in the BEST RATED LOVE STORY available on the AppStore! - A story full of love and suspense. - Captivating decisions, choose your own path. - Life-like animated characters you'll fall in love with. - Beautiful locations from Rio, Brazil. - High quality cutscenes and graphics. Thank you for playing and enjoying the game! Great story but why such a long wait? I don’t understand why we couldn’t watch ads to get all our free diamonds and tickets. With all this being said I will no longer spend any of my hard earned money in these games to have them crash on me later. There is definitely some room for improvement, and it’s not right you only get 2 tickets every few hours this is why it takes so long to get through this whole story. As far as the English translation, I am definitely not an English major so it doesn’t bother me as long as it’s legible easy to understand. My biggest complain is the long wait time for 2 tickets and how expensive all the choices are for clothing. Please work on this it’s an easy fix I’m sure. I’d be willing to watch ads all day until I can get enough to keep reading a chapter at a time , the suspense is killing all of us and people eventually loose interest waiting so long. Take it from other developers who throw in ads for tickets and diamonds!!! It’s a good story, the landscape graphics are really nice, and that theme song, I think I sing it all day long, I can’t get it out of my head! The music production is really great in this app, I will say that. The story is intriguing too. But the English translation is laughable at times and while awkward from the beginning, gets progressively worse as the chapters continue. I’m on chapter 5, and it’s getting sloppy, poor English usage and spelling mistakes, and some things that don’t make sense. To the developer, I’d be happy to help for free access! 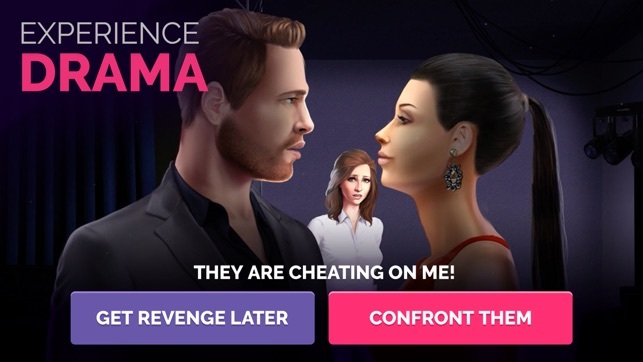 Which brings me to these points: I have a problem with the long wait between free tickets, expensive “choices” and graphics of the people (Linda’s mother’s hairline reverses when she turns to speak to someone on the opposite side). I would like to choose different clothes without having to pay for the choice! Linda has been in that brown dress for a long time. So all-in-all, it’s an engaging game, very enjoyable and a really good story, but it needs some improvement. I love this game/story app!! The graphics and details are wonderful and the storyline is great!! I love the characters and mystery of who to trust, etc! The only things I'd like to change are 1) the time it takes for tickets to refill & 2) I'd like to be able to get more tickets at a time! Maybe give an option to watch video ads to earn tickets or watch the ads to deduct time from the refills. You could also reward readers with an extra ticket capacity for each chapter they've read.. OR like at the end of each chapter, we have the option to choose an extra ticket capacity (like we get 3 tickets every time it refills, instead of 2) or we can choose to have less wait time.. Just an idea. I get into the story and then I'm out of tickets and have to wait several hours just get read more. I know that's the point, to get us to buy more tickets but not everyone can afford to spend money on games, but we do enjoy them just the same! Keep up the great work, it's awesome!! © 2016 Rio Perdido S.A.